CORALINE - ACMA THEATRE CO.
A parent reflects on what this project says about the value of a public school arts education. Find out what lies in wait behind secret doors, explore marvelous and perfect worlds, and discover the darkness that lurks behind button eyes. 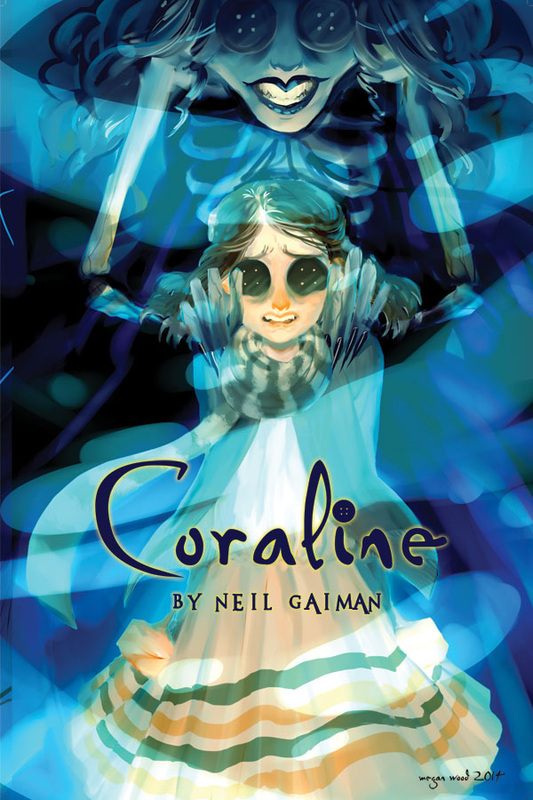 Based off of the bestselling novel by Neil Gaiman, Coraline tells the story of a lonely young girl lost in a new house. One filled with eccentric neighbors, distant parents, old furniture, and even a door to another world; a world of marvel and beauty which, at first glance, seems perfect. But when she looks closer, Coraline discovers that it may hide an evil she never could have imagined. Charged with dark, brooding characters, haunting dance, and breathtaking original script and score, our production promises to breathe new life into the story of a girl, a cat, a door, and a pair of shiny button eyes. Be brave, be bold, and be careful what you wish for. Produced with permission for an amateur theater production from Casarotto Ramsey & Associates Ltd.